RICHLAND, Wash. — When mass casualty incidents occur — shootings, earthquakes, multiple car pile ups — first responders can easily be overwhelmed by the sheer number of victims. When every second counts, monitoring all the victims in a chaotic situation can be difficult. Researchers at the U.S. Department of Energy’s Pacific Northwest National Laboratory developed a stick-on sensor that measures and tracks a patient’s vital signs to help first responders quickly triage, treat and transport the injured. 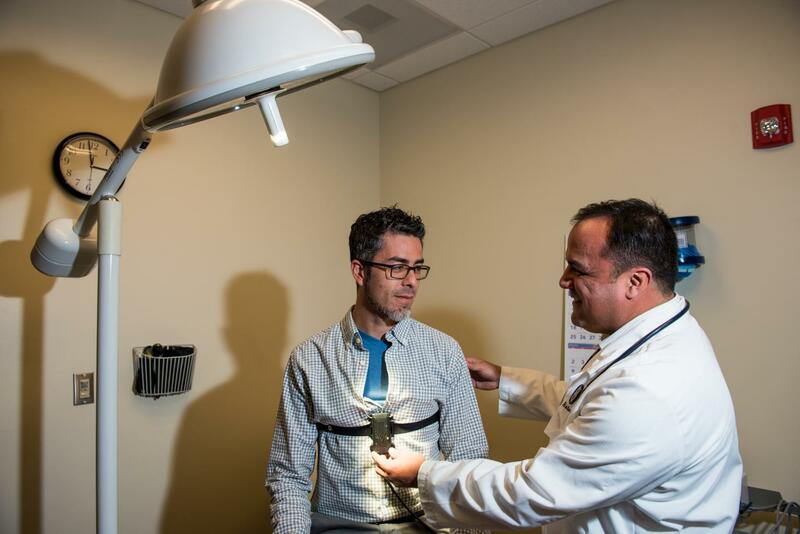 VitalTag adheres to a patient’s sternum and connects seamlessly via Wi-Fi to securely transmit patient data to a mobile device or laptop in real time. Responders can view each patient’s medical status and location on an incident map. And, should vital signs change for the worse, the system can also send an alert. This comprehensive view could enable emergency medical technicians and paramedics to tend to more patients faster, armed with more detail than ever before. This is a fielded prototype technology that has not yet been approved by the FDA and is not commercially available. Details about the technology are available on the PNNL Available Technologies website or from PNNL’s commercialization manager Kannan Krishnaswami. Pacific Northwest National Laboratory is the nation’s premier laboratory for scientific discovery in chemistry, earth sciences, and data analytics and for solutions to the nation’s toughest challenges in energy resiliency and national security. Founded in 1965, PNNL is operated by Battelle for the U.S. Department of Energy’s Office of Science. DOE’s Office of Science is the single largest supporter of basic research in the physical sciences in the United States, and is working to address some of the most pressing challenges of our time. For more information, visit PNNL’s News Center. Follow us on Facebook, Instagram, LinkedIn and Twitter.